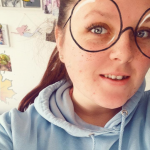 I'm 20 years old and I'm currently 3 weeks to finishing my Early Years Foundation Degree, I have completed my level 3 in Childcare & Education-achieving an A grade overall. I'm a very honest, reliable and friendly person who connects with all children almost instantly.My friends and family always recommend me to others as they feel I'm generally a excellent babysitter. I'm not to sure about fees, that I would be willing discuss with individual.